Sen. Joe Manchin, a conservative member of the National Rifle Association who has voted in support of many pro-gun laws, has emphasized the need to talk about new regulations on assault weapons. After the mass shooting at an Elementary School in Newtown, Connecticut left 26 dead, many have called for a serious discussion on gun control – including the notoriously pro-gun senator. Manchin, a conservative Democrat representing West Virginia, became infamous after releasing during his election campaign a video ad showing him brandishing a rifle, promising to protect the Second Amendment and shooting a gun at a copy of the Cap and Trade bill. But after the Newtown tragedy the senator criticized the ease at which Americans can purchase assault weapons that can kill dozens of people in just a few minutes. Gun rights advocates have often avoided the conversation, claiming that a ban on assault weapons would lead to further gun control laws that could eventually repeal the Second Amendment. But Manchin said the Second Amendment should not protect the right to own weapons designed for combat. 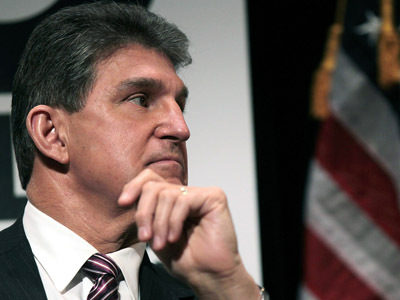 Manchin was endorsed by the National Rifle Association for his recent reelection, and is an A-rated member of the NRA. The group considers itself “America’s foremost defender of Second Amendment rights”, but Manchin believes he can mobilize its members into a discussion on gun control. Manchin is not the only legislator calling for a discussion on tighter gun control laws, but he may be one of the most conservative. New York City Mayor Michael Bloomberg said Obama should put gun control legislation regarding assault weapons on “his No. 1 agenda”. “I don’t think the Founding Fathers had the idea that every man, woman and child could carry an assault weapon,” he said on NBC’s ‘Meet the Press’. The president has already made it clear that he will examine possibilities to prevent further mass shootings, emphasizing lawmakers’ need to act on controlling assault weapons. 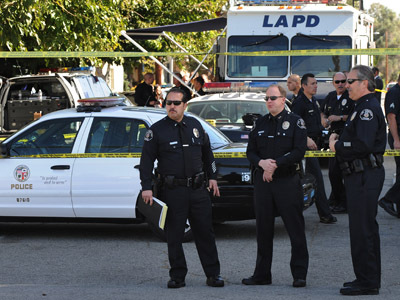 "If there is even one step we can take to save another child, or another parent, or another town, from the grief that has visited Tucson, and Aurora, and Oak Creek, and Newtown, and communities from Columbine to Blacksburg before that – then surely we have an obligation to try," Obama said, referencing the locations of previous mass shootings. Now, with NRA-endorsed conservatives like Manchin backing the president, the discussion is likely to more forward more so than it has after previous mass shootings. 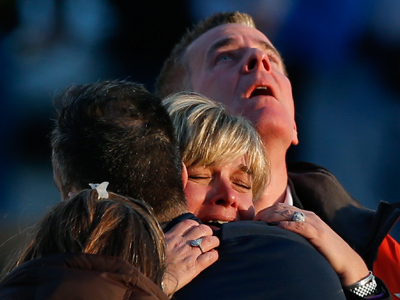 The first funerals for two of the 20 children killed at Sandy Hook Elementary School will be held Monday. Two 6-year-olds, Jack Pinto and Noah Pozner, are the first victims of the mass shooting to be buried. 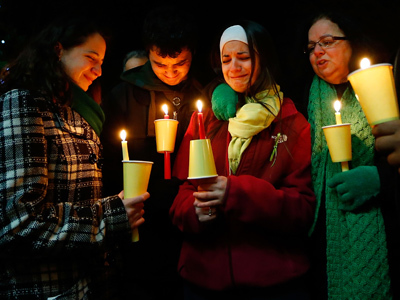 Several other victims are scheduled to be buried in Newtown this week. As the country continues to follow the aftermath of the tragic shooting, tighter gun control will be an issue that some concerned parents will push for. 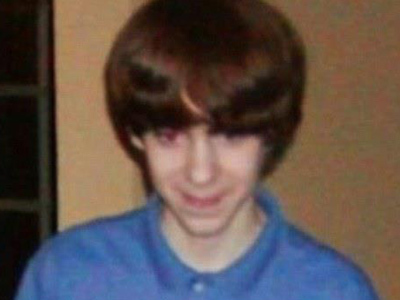 The gunman, 20-year-old Adam Lanza, shot each victim at least two times with an assault weapon. Carrying hundreds of rounds of deadly ammunition, authorities said Sunday that he had enough to kill every student in the school. 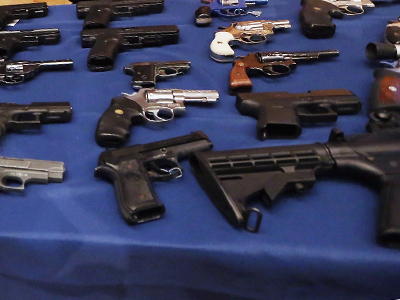 According to the latest ABC News/Washington Post poll 54 percent of Americans favor stricter gun control laws.